The thyroid gland is the largest endocrine gland in the human body. Its weights 20-40 grams and is about 4 cm long. It is located in the front of the neck, just below the larynx and over the trachea, and moves with the larynx. The thyroid has a butterfly-like shape. It is divided into two parts – right (lobus dexter) and left (lobus sinister). The two parts are connected by a bridge, called isthmus. In some people, a thin appendage called lobus pyramidalis is going up by the isthmus. It has a different length, and in some cases, it can reach the sublingual bone. In the embryonic stage of development of human organism, the thyroid gland appears as an epithelial proliferation of the front wall of the pharynx. The main structural units of the thyroid are the follicles. They are made up of one row of cells – thyrocytes, located on a basal membrane. The follicles are sphere-like structures of varying size, filled with a gel-like substance – colloid. Thyrocytes produce the hormones thyroxine and triiodothyronine. Thyroid hormones fall into the blood by binding to specific transport proteins that carry them to target organs. The regulation of follicular cells’ activity is done by the thyreotropic hormone, released from the anterior pituitary (adenohypophysis). This regulatory hormone is involved in the control of all phases of synthesis and secretion of the thyroid hormones. The blood supply of the thyroid is done by four arterial vessels – two on each lobe. The venous blood of the gland drains off through a number of small veins. Thyroid hormones play a major role in the regulation of metabolism at a cellular level. They affect most of the tissues and organs in the body. Their overall effect is to increase oxygen consumption and calorigenesis (heat production). The thyroid regulates the metabolism, function of the heart, digestive function, muscles, brain development, etc. Its proper functioning depends on the presence of iodine in the food. The individual organs and systems in the body work coherently, not independently. This is achieved by regulation of their activity. Apart from the nervous system (nervous regulation), the regulation is done through chemical substances spread by blood, lymph, and tissue fluid (humoral regulation). Such substances are the hormones that are produced by the endocrine glands. They regulate the processes of growth, development, and metabolism in the body. Hormones travel through blood, tissues, and organs to deliver their messages to initiate, stop or modulate most of the known processes in the body: growth, development, metabolism, sexual functions, mood, behavior, immune system regulation, hunger, etc. Acting as signal molecules, hormones bind to specific receptor proteins in the target cells. The binding is often enough to signal the cell to change its behavior. Any hormone associated with a specific receptor results in a cell-specific response. Many tissues and organs in the body are able to secrete hormones. Most often hormones are secreted by the endocrine glands. Hormones secreted by nerve cells – neurohormones. Local hormones – remain in the organ that secretes them and act on nearby cells. Autocrine hormones – secreted by endocrine cells that have plasma-derived receptors for their own hormones. Thyroid: The thyroid is the largest endocrine gland in the human body. Hormones: Hormones are chemical substances produced by the endocrine glands, regulating the processes of growth, development, and metabolism in the body. Thyroid: The thyroid is located in the front of the neck, just below the larynx and over the trachea, and moves with the larynx. Hormones: Hormones travel through blood, tissues, and organs to deliver their messages to initiate, stop or modulate most of the known processes in the body. Thyroid: In the embryonic stage of development of human organism, the thyroid appears as an epithelial proliferation of the front wall of the pharynx. Hormones: Many tissues and organs in the body are able to secrete hormones. Most often hormones are secreted by the endocrine glands. 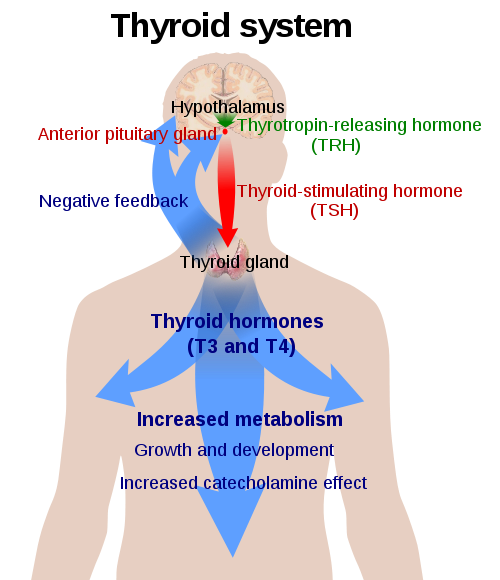 Thyroid: The thyroid produces the hormones thyroxine and triiodothyronine. It regulates the metabolism, function of the heart, digestive function, muscles, brain development, etc. Hormones: Hormones initiate, stop or modulate most of the known processes in the body: growth and development, metabolism, sexual functions, mood, behavior, immune system regulation, hunger, etc. The thyroid is the largest endocrine gland in the human body. 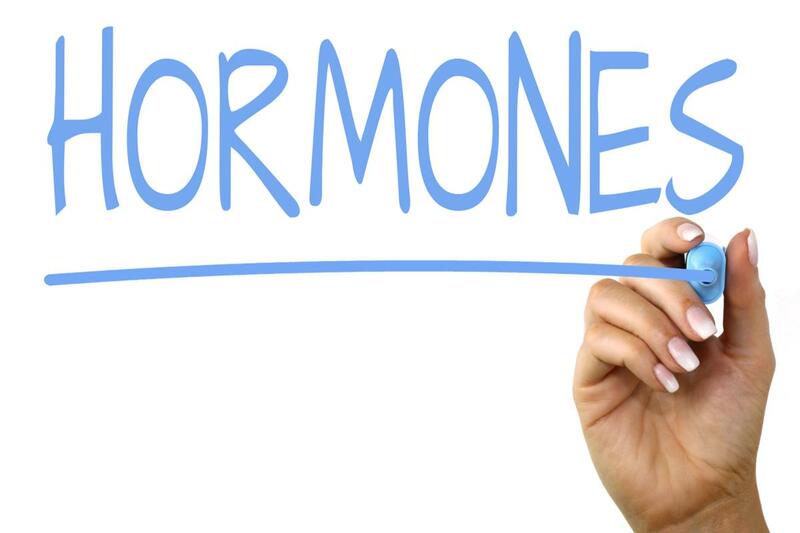 Hormones are chemical substances produced by the endocrine glands, regulating the processes of growth, development, and metabolism in the body. The thyroid is located in the front of the neck, just below the larynx and over the trachea, and moves with the larynx. Hormones travel through blood, tissues, and organs to deliver their messages to initiate, stop or modulate most of the known processes in the body. The thyroid appears as an epithelial proliferation of the front wall of the pharynx in the embryonic stage of human development. Many tissues and organs in the body are able to secrete hormones, but most often hormones are secreted by the endocrine glands. The thyroid produces the hormones thyroxine and triiodothyronine. It regulates the metabolism, function of the heart, digestive function, muscles, brain development, etc. Hormones initiate, stop or modulate most of the known processes in the body: growth, development, metabolism, sexual functions, mood, behavior, immune system regulation, hunger, etc. Dr. Mariam Bozhilova Forest Research Institute, BAS. "Difference Between Thyroid and Hormones." DifferenceBetween.net. March 5, 2019 < http://www.differencebetween.net/science/health/difference-between-thyroid-and-hormones/ >. Ain, K., S. Rosenthal. The Complete Thyroid Book, Second Edition. New York. McGraw-Hill. 2010. Print. Bernhard, K., W. Rossmanith. 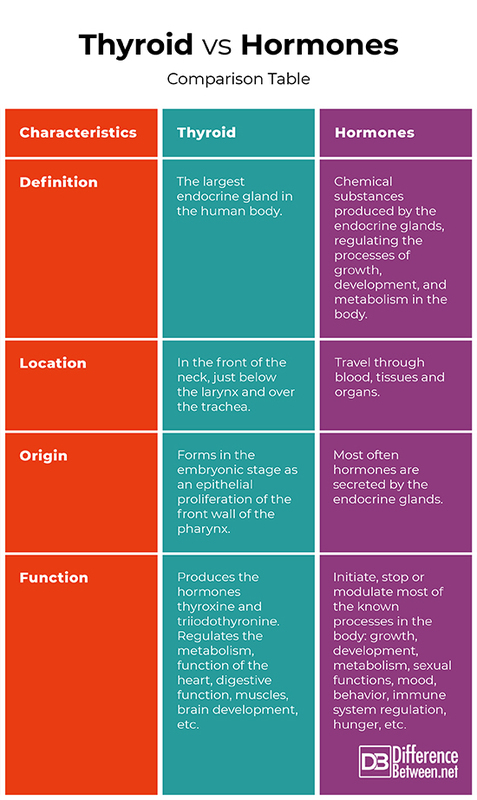 Hormones and the Endocrine System. Textbook of Endocrinology. Basel: Springer International Publishing. 2016. Print. Hinson, J., P. Raven, S. Chew. The Endocrine System: Systems of the Body Series 2nd Edition. London: Churchill Livingstone. 2010. Print.